they sat in our newest dressage saddle, they exclaimed it's "Perfect". we realized that the feelings are indescribable. You have to experience it. "Perfection" is a feeling you don't want to miss. JUST A PHOTO OF THE SADDLE TYPE. 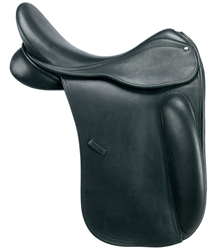 ALL DEMO SADDLES ARE PRICED ACCORDING TO USE AND CONDITION. PLEASE REFER TO THE DESCRIPTION.